As the portable display tools of the artificial stone,sample books are used frequently by stone bosses. Artificial Stone Sample book often made by plastic and EVA two materials. 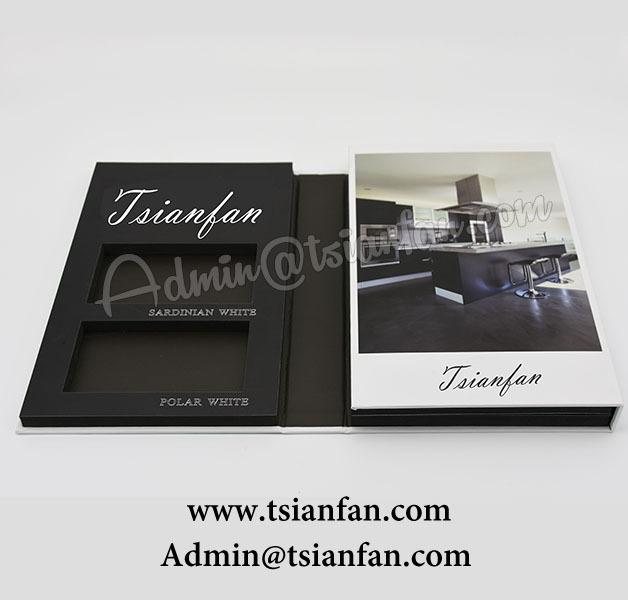 People said that they must be change new sample book for a period of time ,I think it is necessary for everyone to share about the maintenace of sample book. When placing stone samples are not well fixed can also cause damage to the sample books. 3,Cleaning it in right way. EVA is not suitable for the use of acid and alkali liquid to wipe,Acid and alkali can damage their chemical structure and cause irreversible damage.